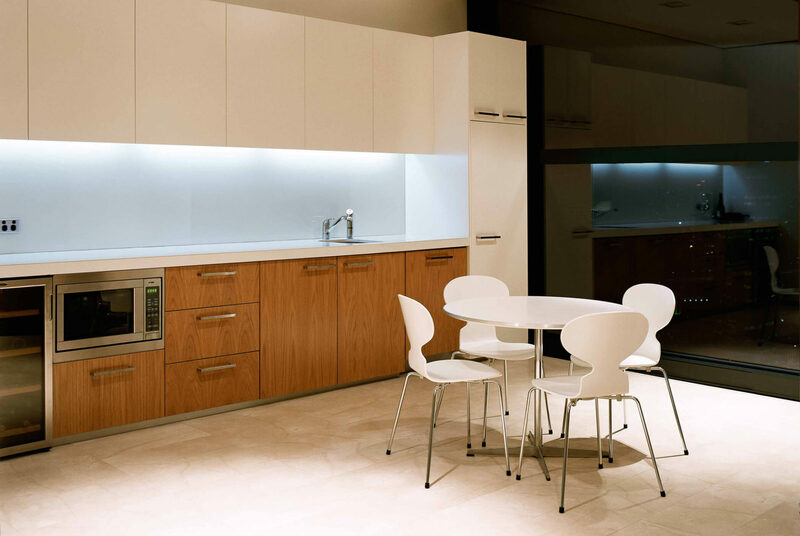 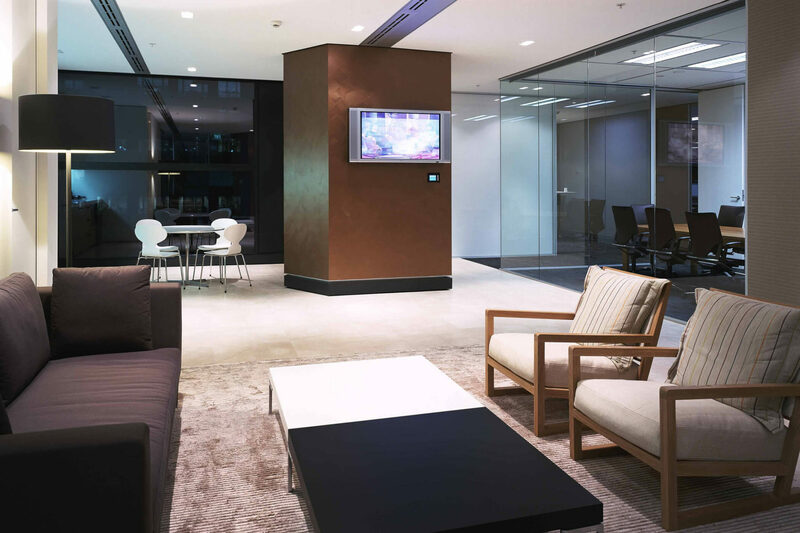 Interior designed commercial fitout. 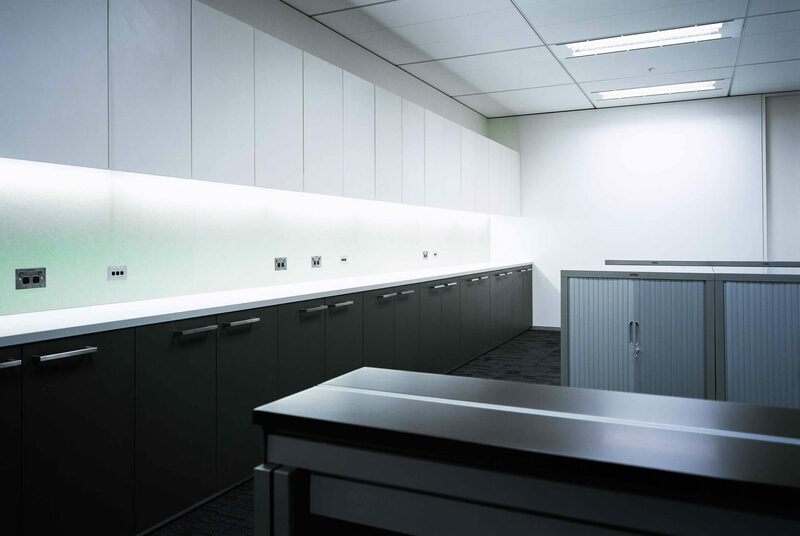 Including a high detail commercial fitout with private meeting rooms, open plan office and high quality reception and kitchenette. 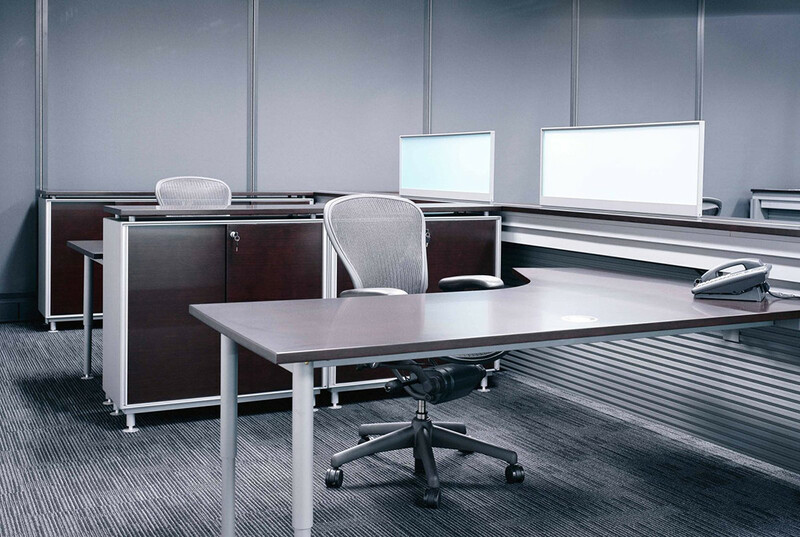 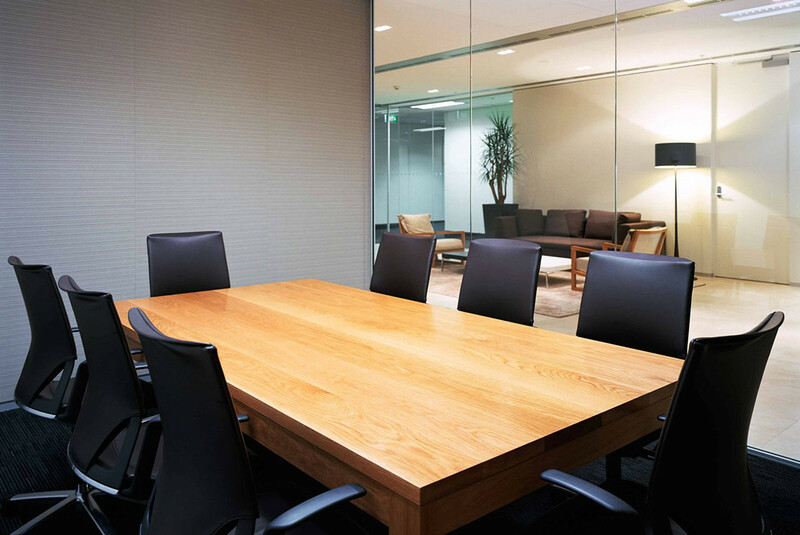 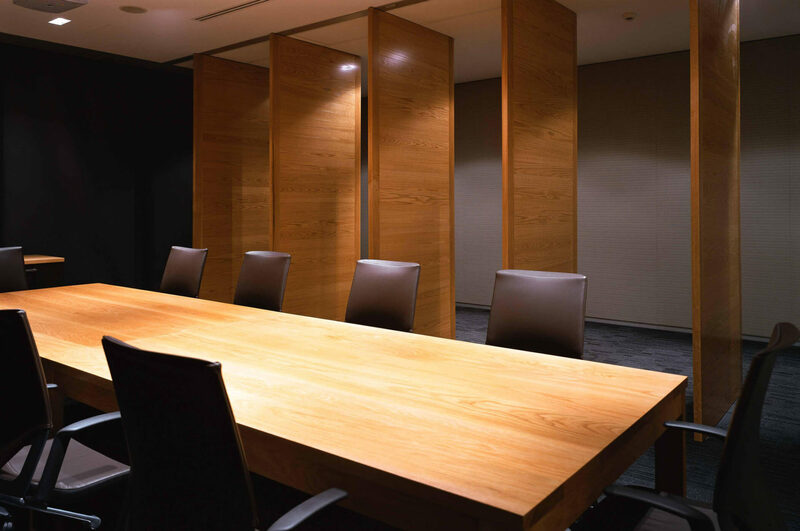 Automated systems controlled meeting room doors, blinds and AV systems.